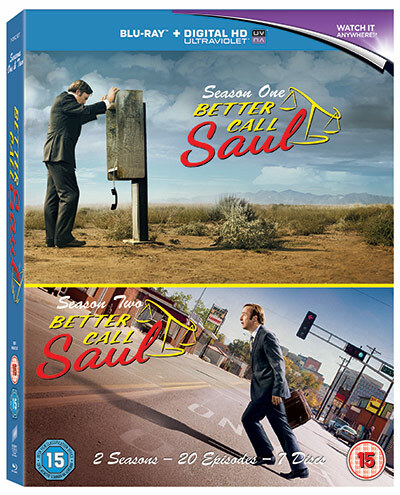 CHRISTMAS COMPETITION: WIN Better Call Saul seasons 1 and 2 on Blu-Ray! The Coca-Cola trucks are out, John Lewis has us crying in advert breaks and the weather has turned unseasonably cold – it’s that time of year again. Winter Christmas is coming. And if you’re scratching your head wondering what to get friends and family, TVGuide.co.uk has the solution. Starting with… Better Call Saul seasons one and two on Blu-Ray. 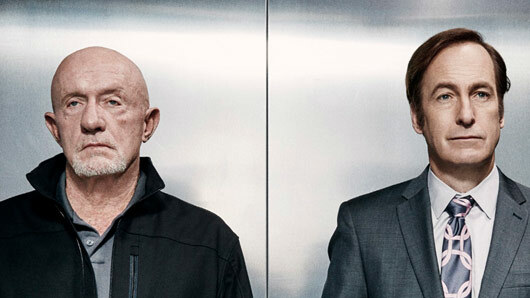 The prequel to television’s hottest property of all time, Breaking Bad, Better Call Saul has had a lot to live up to over two seasons. Yet it has somehow managed to meet and defy all expectations, achieving a Rotten Tomatoes score of 97% across both available seasons and Metacritic scores of 85%. The story follows Jimmy McGill (Bob Odenkirk), the down-on-his-luck young lawyer who will one day become criminal lawyer Saul Goodman. While the story stands alone from Breaking Bad in a satisfactory way, the guest star list will thrill any Breaking Bad diehard. It seems that from the beginning, Jimmy’s been getting himself into a number of scrapes with the local drug cartels of Albuquerque – and the resulting television show is funny, emotional, and just as much of a thrill as its predecessor. For your chance to win one of three Better Call Saul seasons one and two Blu-Ray boxsets just in time for Christmas! *, just answer the simple question below and leave your email address. This competition is now closed. This competition is only open to UK applicants. Please see full Terms and Conditions here. If you’re also a fan of Tom Hiddleston in The Night Manager and would like to win season one on Blu-Ray, check out our other competition here. Better Call Saul seasons one and two are available now on Blu-Ray and DVD. « Made In Chelsea spoilers: Who has Binky been flirting with behind JP’s back?